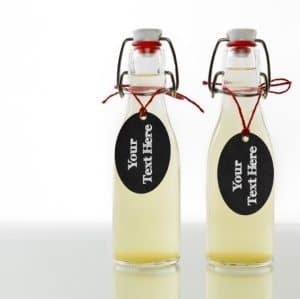 Our free label templates can be customized with the text of your choice to create custom gift labels or gift tags. 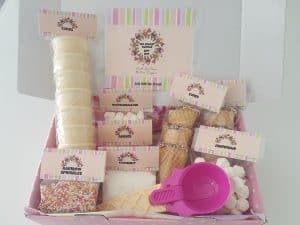 Since there is no minimum quantity you can create a different gift label for each person. 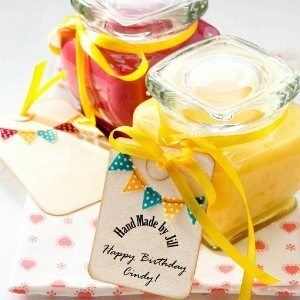 You can use any of the printable labels on this site to create free personalized gift labels. 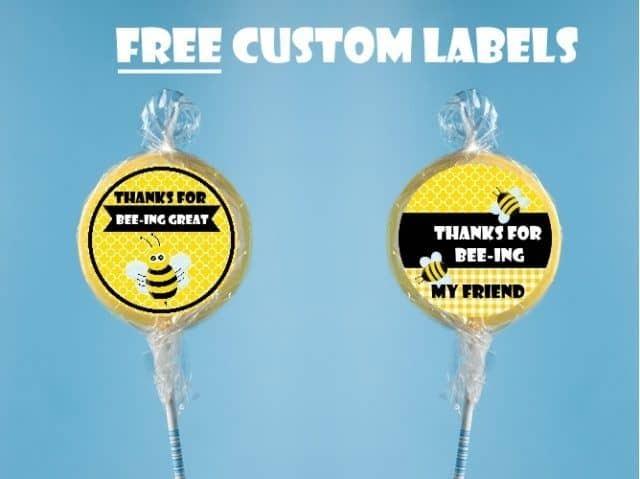 Here are a few samples of gift labels created with the free custom labels offered on this site but the possibilities are endless since we offer a wide array of printable labels in many designs, sizes and shapes. 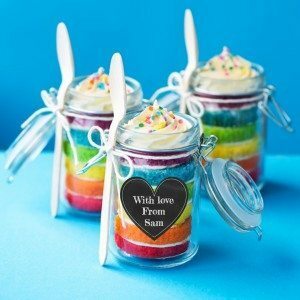 If you want to personalize your home baked goods (such as rainbow cake in mason jars) just add a custom sticker with a short message and you can instantly upgrade your DIY gift! 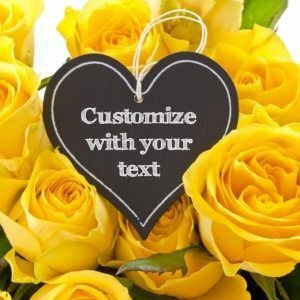 Create heart labels or any other shape. 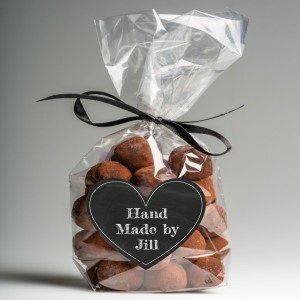 Put candy in a cellophane bag, tie it with a ribbon and add any of the custom labels on this site to create a personalized gift that takes only minutes to prepare. Either make a heart shaped label like this one or any other shape. 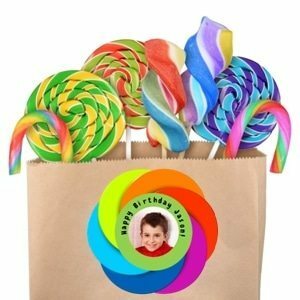 Put candy into a simple brown paper bag or use a pretty colored party bag. 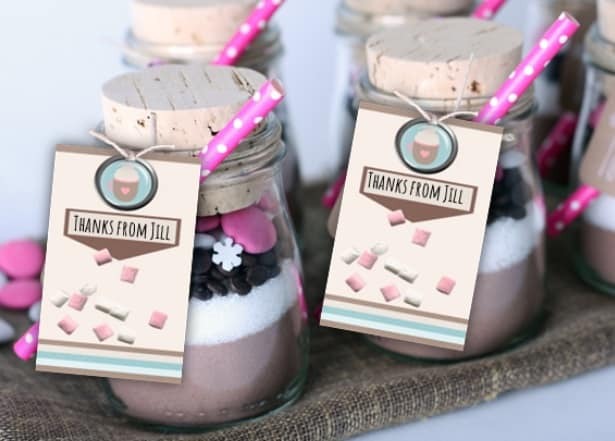 Add a colorful personalized label and your gift is ready! 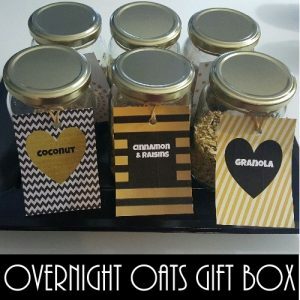 Turn your home goods into DIY gifts with our home made labels. Add your photo and/or text to the label. 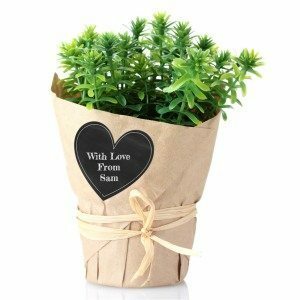 Turn a simple plant into a personalized gift! 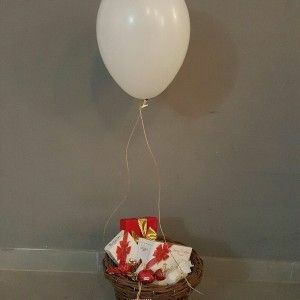 Just wrap it with brown paper and raffia and create a heart shaped sticker. You can also use any of the other shapes too. 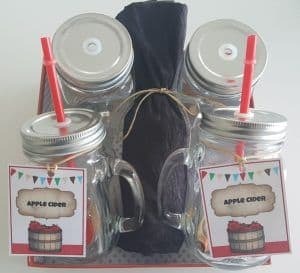 Party favors can be personalized within minutes. 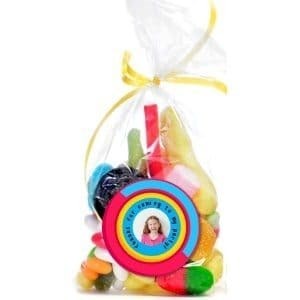 Turn a simple bag of candy into a personalized party favor with these photo labels. 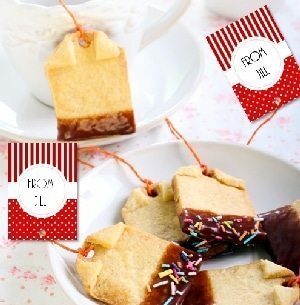 Print these flag shaped gift labels and stick them on anything to create a cute custom label. In the picture they are used as tags but we have a label version too! 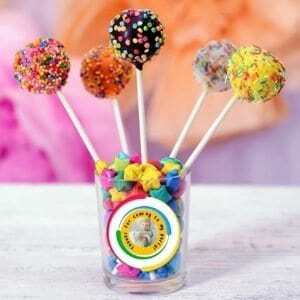 Fill a glass or small vase with candy and insert lollipops or cake pops to create a pretty DIY gift. 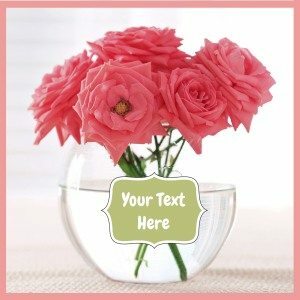 Create a colorful label with your message and photo. 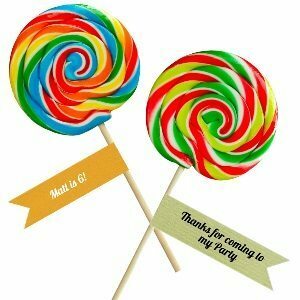 Use our printable flag labels on lollipops, cake pops or anything else to create custom gifts or party favors. 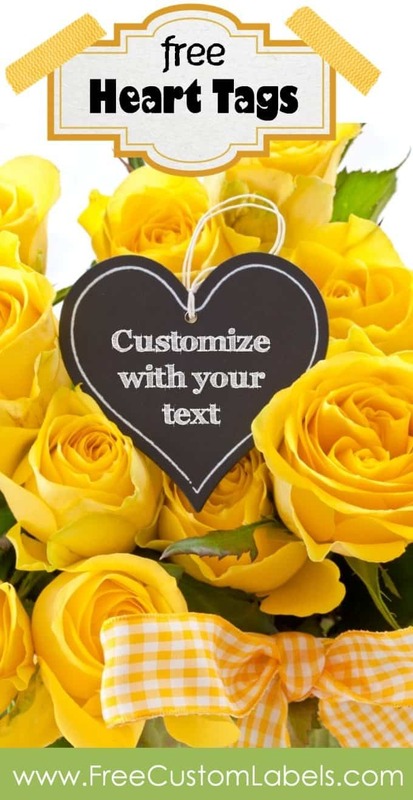 Add a heart shaped tag to flowers or gifts. These bracket shaped labels come in 5 shapes and 5 colors. These oval shaped gift tags are perfect for DIY gifts such as sauces, drinks or gifts. Many designs for every occasion!